Our work aims to improve our understanding of the impact of management interventions on flows of benefits from ecosystems. in-depth studies on specific interventions and their impacts especially on cultural ecosystem services. 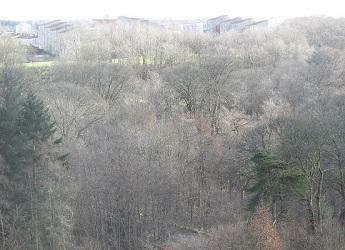 Research summary - Does woodland ecosystem health matter for cultural benefits? A team from Scotland's Rural College (SRUC) and the Moredun Institute investigates the impact of different management approaches (livestock grazed upland grass moorland, destocked upland grass moorland, low density montane woodland, and scrub planted on upland grass moorland and heath) on ecosystem services. Apart from services related to carbon sequestration, biodiversity and agricultural productivity, these will also include benefits related to the management of zoonotic disease risk (for example, Cryptosporidium, Giardia and Toxoplasma).